20th August 1884 lived long in the memory of Victorian Heatonians. 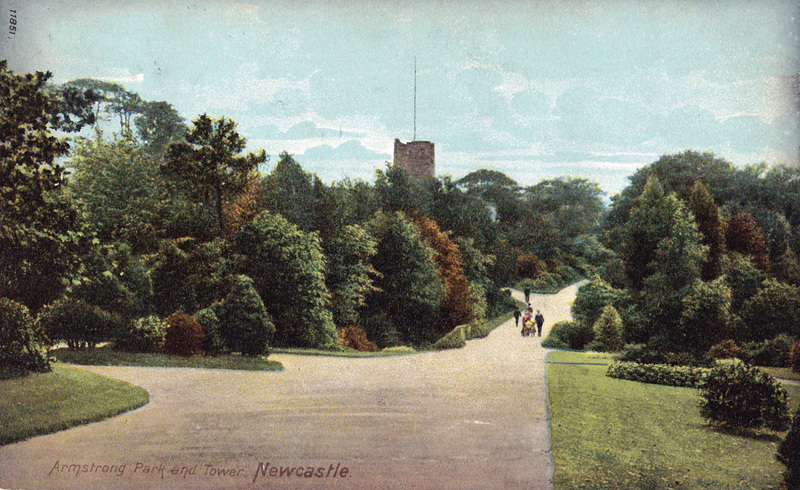 It was the day that royal visitors to the city processed down Shields Road, North View and Heaton Park Road before driving through Heaton Park, across Benton Bridge and Armstrong Bridge into Jesmond Dene. 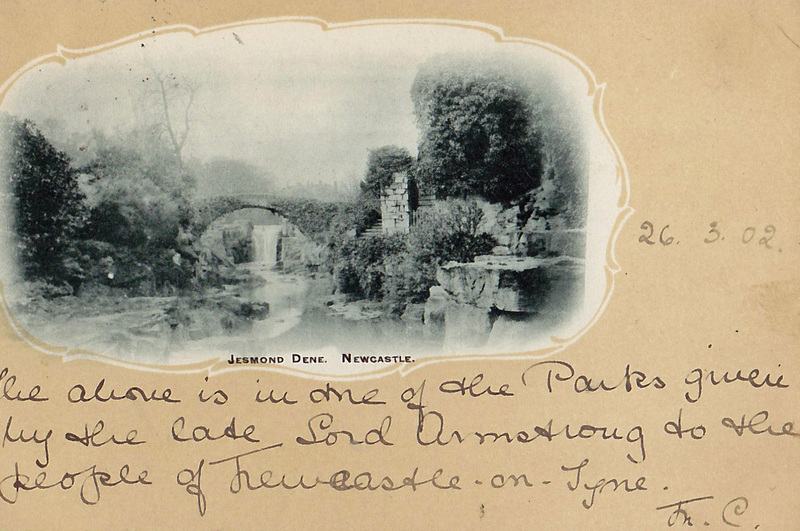 Once there, the Prince of Wales (later Edward VII) officially opened Armstrong Park and Jesmond Dene, the fine public spaces which, along with Heaton Park (opened a few years earlier in 1879), had been created on land presented to the people of Newcastle by Sir William Armstrong. Almost all of Heaton came out to see the first royal visit to Newcastle in thirty years and the first by the then Prince of Wales. The event was covered extensively in newspapers, not only locally but across the country. presented a plan for a triumphal arch to be placed at the old toll gate at the east end of Byker Bridge. The plan is for an imitation of Temple Bar and it will be called ‘Byker Bar’. The day itself almost started disastrously. It was within the grounds of [Heaton] Park that one of the most pleasant sites of the whole day came into unexpected view. On a verdant slope, some thousands of children connected with the various educational schools in the city were congregated. The young faces were all eagerness with the prospect of seeing the royal personages. The majority of them were dressed in gay summer costumes and appeared veritably on the green sward like a ‘bed of daisies’… When the Prince and Princess of Wales came in view of the children, the sweet and fresh voices rose in swelling notes with ‘God bless the Prince of Wales’, the strains of this splendid anthem ringing through the woods and dales of Jesmond with a most charming effect..
… one of the handsomest public grounds in the north of England. The natural scenery is almost impassable in its beauty and where nature has rested and left a spot whereon the eye could not rest with pleasure, art has stepped in to finish off the work. …the brawling stream, the roaring waterfalls, the song of thrush and blackbird, the winding walks, the precipitous banks and the abundance of trees and shrubs, coupled with the ancient mill house and the ruined water wheel makes that portion of the Dene one of the most charming and attractive spots in the two northern counties. There are several wells in the Dene and around some of them quaint old legends cluster. 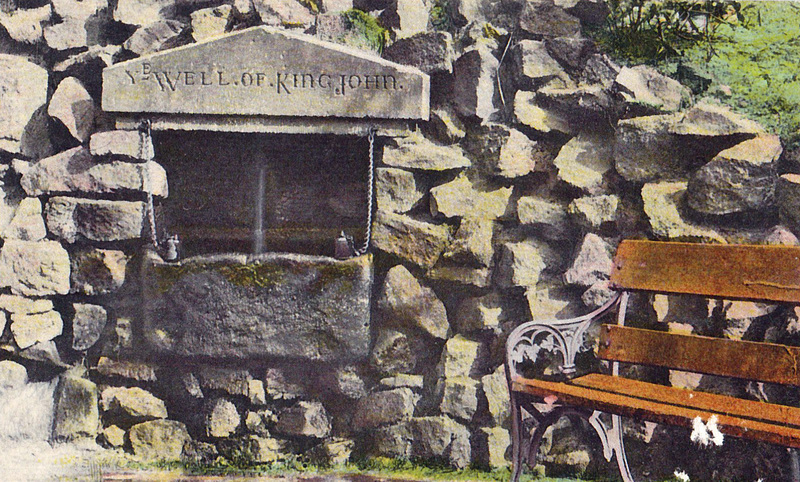 From what ‘Ye Old Well of King John’ derives its name, there is no exact information. There is a tradition that there stood a palace in the immediate vicinity which King John for some time inhabited. This entry was posted in Research and tagged Armstrong Bridge, Armstrong Park, Benton Bridge, Byker Bridge, Grafton Road, Heaton Park, Heaton Park Road, Heaton Road, Jesmond Dene, North View, royal visit, Shields Road, William Armstrong on August 6, 2014 by oldheaton.